Consistency as a band is an achievement all on its own and Arizona rockers Jimmy Eat World have remained remarkably consistent through their years together. Now 8 studio albums in, the band have managed to find steady ground when it comes to their output, both in sound and aesthetic appeal. Damage, like its predecessor Invented, is built upon the band’s love for melodic guitar-driven melancholia. It’s all beautiful sounding, yet restrained. 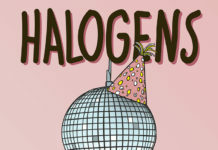 The band’s new found musical foundation is the sound of them turning their amps down from the levels they exhibited on Bleed American, Futures and Chase This Light. Where once there was the distorted, high-tempo frequencies of a “Bleed American”, “Sweetness”, “Pain” and “Big Casino”, there is now the more composed, less frenetic pacing of a “Lean”, “Book of Love”, and the terrific title track “Damage”. It’s not necessarily regression or slowing down, it’s refinement; fine tuning their craft to a cohesion they’ve been hinting at since their opus Clarity. 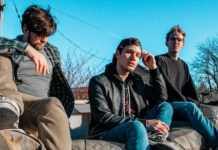 Lead off single “I Will Steal You Back” is the closest Damage gets to sounding like Futures; equal parts heartstrings and rock-fueled sentimentality. 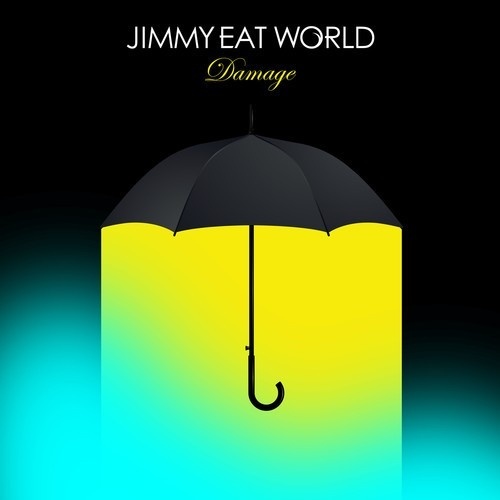 In “Please Say No” and “Damage” we get Jimmy Eat World’s trademark lyrical introspection, with the latter waxing the disconnect between two frayed ends; “Are we only damaging the little we have left? / Both of us swimming in the same polluted mess / Are we too damaged now to possibly connect?” while we’re left again feeling like love has closed the door once again on the previous; “Say anything you will / Except how you’d have me still / Say anything but know / When I go, I go, I go”. Damages‘ finest moment is perhaps “How’d You Have Me”. The song’s structure, like Chase This Light’s “Firefight”, goes hand in hand with the poetic mistrust of the lyrics and the crescendo building of its music- operatic, and cuts deep; “Only one thing left I wish I knew / how did you have me / and I only got you?” Jim Adkins as acerbic as ever. 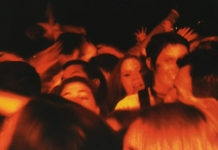 “Byebyelove” is one of the album’s most interesting set pieces. The band have never shied away from the grandiose; from the arching beauty of “Goodbye Sky Harbor” and “23” to “Invented”, song’s have been pushed to the limit of both length (the latter two at nearly 8 minutes while “Goodbye Sky Harbor” rests at a cool 16 minutes long). “Byebyelove” has the same makeup as these songs- like the audio equivalent of reaching for the stars- yet as it sounds like it wants to inch close to the momentous, it comes away a little stunted and not something that could have been truly grand. Nevertheless, the album closes on the reflection of “You Were Good”, an acoustic piece that’s both nostalgic sounding, and distinctly monophonic. It is by far the most subdued of endings, and quite unlike what the band have done before. Like Invented, Damage is the next page in a new chapter for the band. Produced by first time Jimmy Eat World collaborator Alain Johannes (Spinerette, Mark Lanegan), the album is perhaps the band’s most refined effort to date. Working out most of the shortcomings of the previous effort, Damage is another addition to an already impressive and long standing discography. Jimmy Eat World, still terrific.